Home » Art Theory » Making of Super no More! 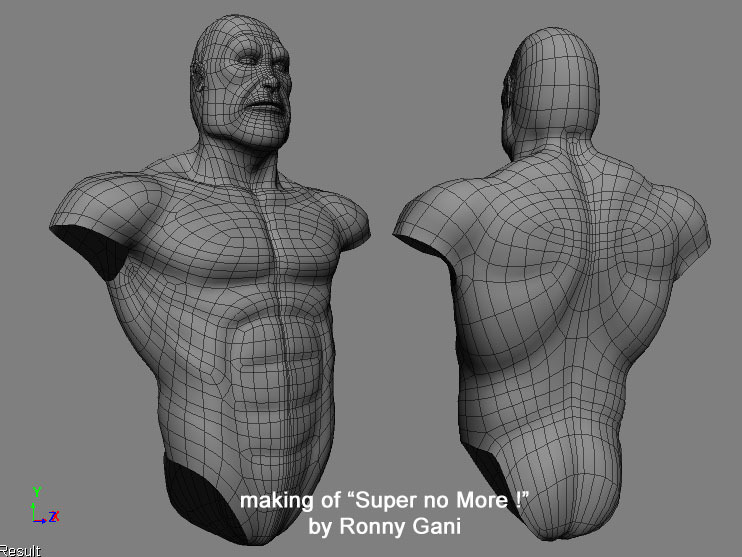 Making of Super no More! Hi, my name is Ronny Gani, from Indonesia . This is the first tutorial article I ever made. 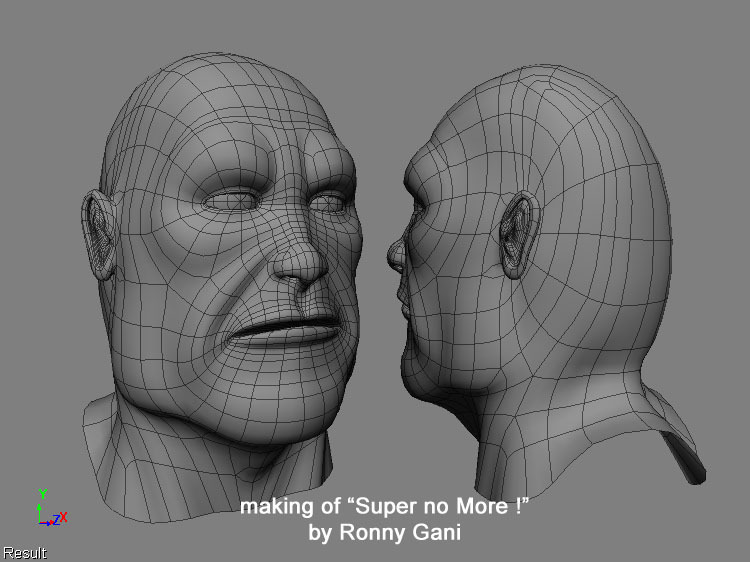 I'm going to share to you how I made the scene which I titled “Super no More!”. 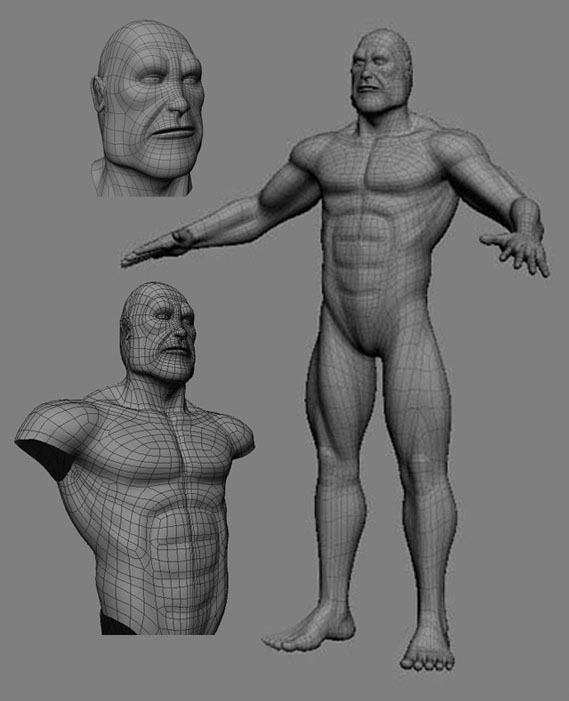 In this project my goal is mainly to make a character with proportional muscle flow and anatomy structure. 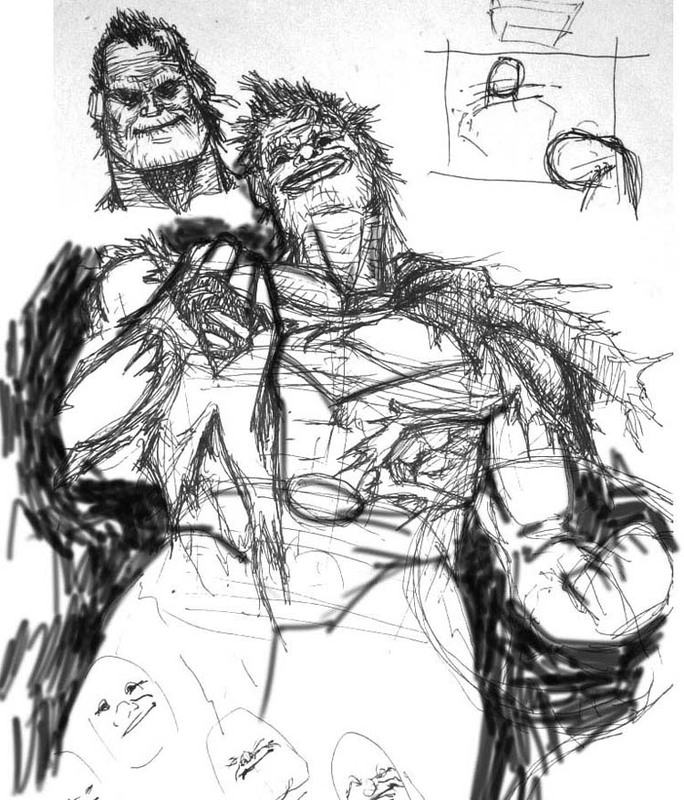 Being motivated by my anti-hero side, I come up with the idea of making Bizzaro, the un-perfect clone of Superman. The reference I had was mostly from Alex Ross' sketches in the comic “Justice”. After gaining enough reference, I tried to develop the character furthermore in my own perception. I wanted the character to be meaner, and a little bit psychotic. I also wanted to make him as if he had won from a great battle against Superman. I deliver the message by making him posed filled with pride and holding Superman's ripped costume sort of as his trophy. Here's the sketch. 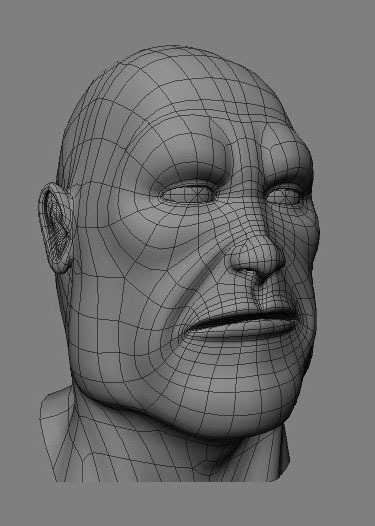 I spent most of my time in the modeling process, using polygonal modeling method. I didn't use any orthogonal image reference for this. Here are some step by step image processes.